Among critics who regard innovation and aesthetic worth as closely linked, it is common to see Iranian director Abbas Kiarostami referred to as one of the greatest contemporary filmmakers. It is particularly exciting, then, that this year’s Melbourne International Film Festival will feature a retrospective of his work. The retrospective and the presence of Kiarostami, should be a great attraction for the festival given its significant history of introducing his work to the Australian public. 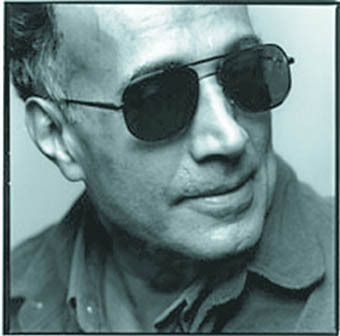 Born in 1940, Kiarostami started his film career in advertising and film titling before working on educational films for the Centre for the Intellectual Development of Children and Young Adults (KANUN) in the late 1960s. It was this background, away from the Shah-ist entertainment cinema, that provided a path to the post-revolutionary cinema (which in some ways resembles the Soviet cinema of the montage period) in which everything was suddenly up for grabs. Is he representative of Iranian cinema? I’d like to say yes, and make the case that given Australia’s recent role in international affairs, we need to see films that help us past the glib abstractions of conservative geopolitical agendas. Whatever one believes about Iran, it has undeniably produced some of the strongest cinema of the past 20 years, doing more to reinvigorate realist filmmaking than any recent national cinema. But while he is its most internationally prominent director, it is problematic to read Kiarostami as a representative of Iranian cinema. His international success has tended to make him an isolated figure within Iran. His films stake out increasingly oppositional positions within increasingly isolated physical spaces. Kiarostami’s protagonists have always felt more at home in their cars than in the social world of Tehran. His work has moved toward reflexive concerns rather than the sentimental art cinema represented by a filmmaker like Majid Majidi (The Colours of Paradise, Children of Paradise). Kiarostami has more to tell us about the axis of action than the axis of evil. As with any truly visionary artist, it is difficult to provide an overview of Kiarostami’s films. They are rich in uniting previously opposed ideas and tendencies, producing complication where facile simplification has reigned. From the criticism of authoritarian education practices in 1989’s Homework through to the man intent on suicide in Taste of Cherry (1997) to the divorced woman’s discussion of her atheism in last year’s Ten, Kiarostami’s social critique has been that of the individual trying to maintain a place for personal choice, for the creative imagination. It is this personal politics that provokes a discussion of Kiarostami as a distinctive cinematic innovator. If he’s often compared to Taiwanese filmmaker Hou Hsiao-hsien, it is because of their common interest in exploring alternative stylistic systems based on imaginative invention rather than the dictates of convention. Ten, for example, is an austere narrative consisting of 10 conversations all taking place in the front seat of a car. One conversation shows only the passenger, the next shows only the driver, while a third takes the conventional approach of shot-reverse shot cutting. A formulaic construction of space is defamilarised and shown merely as one option among others. Kiarostami has spoken of his films as “half-made”, meaning that they leave gaps to be filled by spectators. He has said, “you did not always have to show something to let your spectators know about it.” Perhaps this explains his increasing interest in off-screen space. There is always more around the frame than what is shown, always more to be believed than there is to see. A case in point: in Taste of Cherry there is a medium shot of the protagonist in his car. As he pulls up, the voice of a man is heard off-screen. A conversation ensues in which the camera simply holds on the driver. He pulls away, the car turning in a circle before pulling up again and we see, in the deep space of the shot, a man in a telephone booth. The space of the scene is unpacked in a gradual and complicated way, and the pleasure for the spectator is in putting it together from the unconventional cues we are given. Related to this concentration on off-screen space is the way Kiarostami is unafraid to prise apart picture and sound. In Homework, he simply turns off the soundtrack during a school recitation, the better to observe the anarchic individualism of the children in preference to the rehearsed chant they are repeating. In ABC Africa (2001) the screen is black for a prolonged period as the filmmakers stumble around during a power blackout. One constant at the heart of Kiarostami’s style is a fascination with repetition. Characters repeat actions, traverse the same spaces which are shown using the same framings. Consider the narrative example of The Wind Will Carry Us (1999) in which the protagonist has to drive time and time again along the same route to get to the one elevated point of good telephone reception. Consider the documentary example of Homework in which children give the same answers to the same questions framed in the same shot punctuated with the same cutaways. There is a refusal here of major ellipses or compressions so that the spaces between, the throwaway material of conventional narrative, start to matter. Where is the Friend’s House? (1987) is one of the greatest meditations in the cinema on getting from point A to point B. Like other great realist works, it finds fresh methods for renewing our wonder at what has been right under our noses all the time. This unconventional attitude toward space motivates Kiarostami’s interest in people driving. This represents a way of being both in the social world and profoundly private, of seeing landscape in a direct way and abstracted through the framing of windscreens. Kiarostami is interested in restricted spaces but these tight framings also set up extreme long shots, such as the conclusions of Life and Nothing More (1992) and Through the Olive Trees (1994) in which the decisive narrative actions are rendered in such extreme long shot as to be implicit. This brings us to the nub of the narrational dialectic in these films. On one hand, they are built around simple, tangible tasks—a small boy tries to find a schoolmate’s house, a filmmaker tries to find a small boy, a man tries to find someone to bury him. Kiarostami’s protagonists have a single goal, though the complication is that these quests are generally left in a nebulous state. In Life and Nothing More, the inability of a car to ascend a steep slope closes the film, while in The Taste of Cherry narrative resolution evaporates into Brechtian gesture. The Wind Will Carry Us is about how a film doesn’t get made. In keeping with the idea that there is always more than we see, these narratives beget other narratives. Where is the Friend’s House gives birth to the filmmaker’s quest to re-find his child actor following an earthquake in Life and Nothing More from the interstices of which a romance is generated in Through the Olive Trees. Behind the narrative space there is also a complementary space from which the narrative is constructed. Life and Nothing More, Close-Up, Through the Olive Trees and The Wind Will Carry Us all feature filmmakers as their main characters. This retrospective provides a rare opportunity to consider the work of a filmmaker with the courage to see differently and to reinvent the way films tell stories. If Australian cinema is to step away from its decline into international irrelevance, there are lessons here that we need to ponder, and acts of imagination to stun us with wonder.